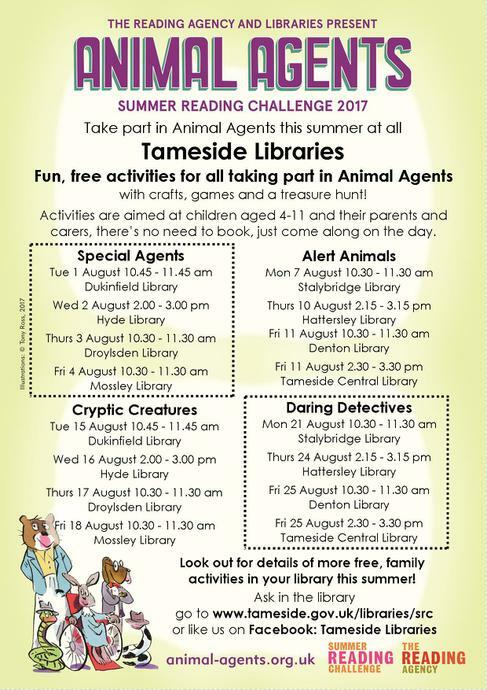 Take part in Animal Agents this summer in all Tameside Libraries! There are lots of free Animal Agents activities for children in all libraries during the school holidays too! 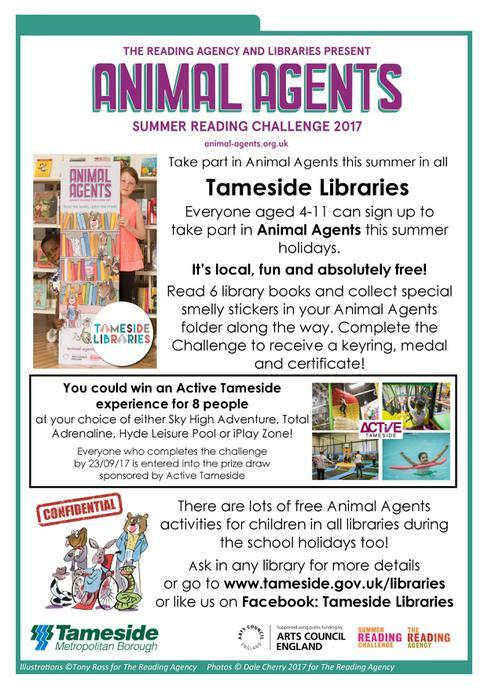 Everyone aged 4-11 can sign up to take part in Animal Agents this summer holidays. It’s local, fun and absolutely free! Read 6 library books and collect special smelly stickers in your Animal Agents folder along the way. Complete the Challenge to receive a keyring, medal and certificate!